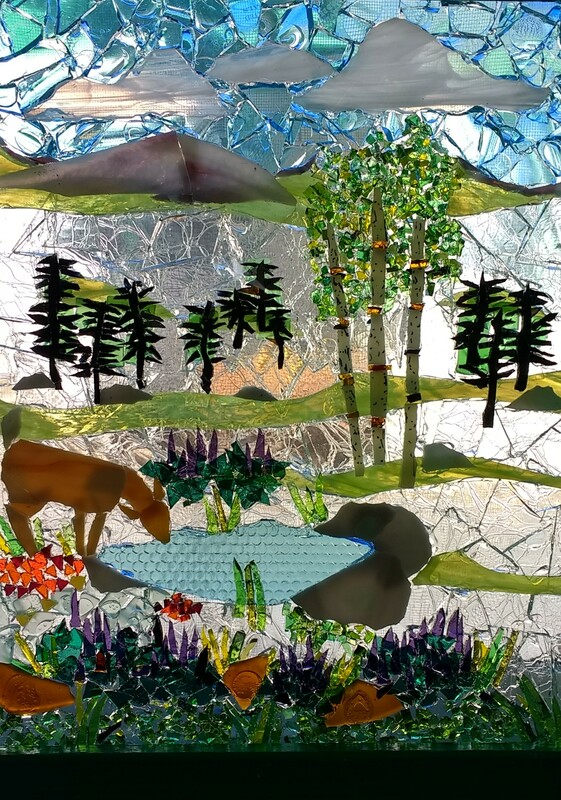 The photo, taken October 13 by Duane DeTemple, shows a glass art creation made by Pullman artist Pam Arborgreen. It is about 11″ x 15″, and was commissioned by Duane and Janet DeTemple as a gift for their daughter Rachel’s birthday. Rachel, a high school English teacher, lives with her husband Joe and 15 sled dogs about 10 miles west of Fairbanks, Alaska.